A recent social media virtual tasting event hosted by Lodi Winegrowers featured a wine from St. Amant Winery that was made from grapes which originated in Italy. The Barbera grapes grow in a 42-year-old vineyard farmed by Ted Levventini. The vineyard is certified green by Lodi Rules. The St. Amant Tools of the Trade Barbera 2013 is colored a medium dark ruby that really looks gorgeous in the glass. The nose gives black cherry and licorice aromas with just the faintest hint of a campfire or a fireplace burning. Very lively on the palate, it tastes of cherry and red currant in a very fun manner. There is a hint of red vine licorice and ripe, red plums. The mouthfeel is full, the acidity is striking and the tannic structure is firm, but not beastly. Great for steak, I'm sure, but I would love it with a pork chop. We found some Lodi cherries at Whole Foods, and they were a pretty good match, too. Enough of what I think. What did the wine lovers on Twitter say? @50StatesOfWine agreed with an opinion expressed by @Cellarmistress: "The Barbera is pruny, smokey and reminds me of bacon wrapped dates. Yum!" @Wine Harlots noted that, "The @stamantwine Barbera is fantastic. And at $18 it's terrific value." It was @NormalWine who tweeted, "Barbera from #Lodi is highly aromatic -- brandied cherry, dried strawberry. Rustic smelling in a good way. Impressive!" @myvinespot called it, "fragrant w/ fresh, sweet red fruit character, streamlined, harmonious in mouth, good length. Appealing." The price struck a nerve with @AmyCGross, who asked, "how in the WORLD is that St Amant #Barbera only $18?! GORGEOUS! Smooth AND Spicy!" @JamesTheWineGuy worked his senses overtime, "love the label and the contents!" While @gonzogastronomy was smitten. "The Barbera stole my heart tonight." Just in from the western bloc, the terse message concerns Contra 2012, "a contrarian blend of mostly old-fangled grape varieties from mostly older vineyards located primarily in Contra Costa County." This adverb-riddled communique bears the unmistakable mark of CEO Randall Grahm, President for Life at Bonny Doon Vineyards. The presidential flair continues during his address to the troops in which he awards a purple heart to "a field blend that counter-intuitively contravenes convention." Alcohol hits 14.1% abv, while Grahm's wordplay scores considerably higher. Contra. The ragtag grape militia is headed up by General Carignane 56%, Major Syrah 17%, Lieutenant Grenache 15% and Sergeant Mourvèdre 11%, followed by the grunts, Cinsault, one percent. The extremely dark wine is aromatic with blackberry, black currant and plum. A whiff of tar sneaks in late. Flavors of dark fruit sit embedded in oak spice and feisty acidity with all the tannins needed to fight off the fat power of a heavily marbled steak. It won't pull a sneak attack - it flashes its weapons upon the loosening of the screw cap, referred to as a Stelvin closure in the dossier. The rebels hoist the wine in defiance of those for and against. Who knows which side is right. May as well keep all options open. Meet the new boss. Smoke 'em if you got 'em. Ten-four good buddy. You've been there before. In unfamiliar territory for dinner - not in a restaurant, with a wine list and plenty of choices, but at a friend's mother's cousin's place - with no choices. "Don't bring anything - we have the wine." Hmm. Well, how bad could it be? Well, it could be cheap Chardonnay. It could be cheap Cabernet. It could be Pinot Grigio of any price. It could be (gasp) White Zinfandel! And what do I say when an offense is offered? I don't like wine? They know I write about the stuff - they'll never buy it. I'm on antibiotics? Not even a sniffle. Religious objection? Riiight. So it really is fantastic when it all works out. "A Riesling?” I gush. “Oh, by all means, open the Riesling!" Who would have expected that some previous dinner guest had left a Riesling behind? We're spared from all that Pinot Grigio that must surely have been hiding behind it in the refrigerator. Spared from having to knock back half a glass to be polite, then dumping the rest in a planter when no one is looking. It wasn't even an expensive Riesling, either. Santa Barbara Landing 2013 Riesling sells for about five bucks at Trader Joe's, from the Bronco Wine Company. Say what you will about the heritage, but the wine is actually pretty good. The pale color is no surprise, like the herbal/floral scent it gives off. But wait, is that a hint of petrol in there? A little whiff of gasoline? Surely not, in such a young Riesling. But I will swear it was there. On the palate, pears rule, and the full mouth is juxtaposed against a wonderful acidity. At 13% abv, it is fairly relaxed, too. I would have this again anytime, particularly chilled on a hot summer day. We were also treated to a bottle of La Granja 360 Verdejo/Viura 2013. From Spain’s Castilla y León region, I had high hopes for this one. Unfortunately, I do not have too much to say about it. Grapefruity and a little tart, it was not as memorable as I had hoped it would be. The acidity was pretty fantastic, though. There is no horsing around when Mitch Hawkins, of Hawk and Horse Vineyards, decides to tell you about his world. He emphasizes the importance of his family, but he also takes some time to hawk his wares. I had the pleasure of joining Hawkins for a glass of wine at Hollywood’s Roosevelt Hotel when he was in Los Angeles recently. He poured his Hawk and Horse 2010 Cabernet Sauvignon of the Red Hills AVA, the southernmost in Lake County. Hawkins is a big believer in biodynamic farming. "Biodynamic agriculture views the farm as a self-contained, self-sustaining ecosystem responsible for creating and maintaining its individual health and vitality without any external or unnatural additions," he writes on the winery’s website. He is proud that his vineyard is Demeter certified. The Demeter Association is known as the first label for organically grown foods. "We are passionately dedicated to quality from the ground up," he states. "From the selection of our vines and vineyard site, to the most carefully detailed farming practices, we pay special attention to every aspect of the wine growing process. Our soil and climate are perfectly suited to growing Bordeaux varieties, and we specialize in Cabernet Sauvignon." Hawkins peppers the conversation with numerous farm boy references, proud to talk about the dirt under his fingernails. Figuratively speaking, of course. He cleans up real nice for his forays into the big city. After a career that has included several disparate occupations, he says of growing his grapes, "I can't imagine doing anything else." He loves talking about the various attributes of his hillside vineyard - the red volcanic soil and the adherence to biodynamics first and foremost. He even had pictures of his land, which he showed like a proud papa. Oh, and he really is a proud papa. He had pictures of his family to show off, too. They are rodeo people, and he has two girls who participate in barrel racing. A brief interlude occurred while he found a video on his phone of one of his daughters racing a horse through a course set up in the dirt around an array of barrels. The family’s allegiance to the horse world was driven home when he explained that they had bought land on Howell Mountain - a coveted winegrowing site - for use as a rodeo arena. Eventually, he returned to the discussion on grapes. "Biodynamic farming is a method of working the land in harmony with the dynamic forces of the cosmos and elements of nature," he said. "It was developed by Rudolph Steiner, who lectured that the earthly and cosmic forces work in the farm through the substances of the Earth." His 18-acre estate is home not only to grapevines, but also a herd of Scottish Highland cattle, who also participate in the biodynamics of the farm. He produced another batch of pictures, showing him burying horns full of dung and worm casings, all in the effort to make the land one with the nature around it. He brough a collection of "Lake County diamonds," the quartz rocks found in the soil on his vineyard site. Although Hawkins is the winemaker, he recruited some good help - consulting winemaker Dr. Richard Peterson. Hawkins' 2010 Cabernet Sauvignon is 100% Cab, aged for 21 months in French oak, 90% of which is new. Alcohol in the 1,500 cases produced sits at 14.1% abv and it sells for $65. For his blended wines, he is quick to credit his wife, Tracy, for having the great palate that enables her to call shots on the final blends. Hawkins is justifiably proud of this wine. "This is one of our most elegant vintages to date," he said. "Long hang time and cooler temperatures gave this vintage great complexity, and it got a 98-point rating!" This Cab is very dark, deep ruby - almost black. If it were green, it would be English racing green. The luscious nose demands attention immediately. I told Hawkins that it's one of those wines I could just smell and never get around to tasting. He quipped, "I never get tired of hearing that." Minerals, earth and blackberries are in the forefront, graphite comes on after it opens. The palate is elegant, but there is plenty of tannic structure. I want a rib eye with it. Hawkins suggests a New York steak. The lovely cassis flavor hits the minerality just right. The back label of CrossHatch Wines gives a description of crosshatching - an artistic technique that utilizes closely spaced, intersecting lines to add shading or depth to a drawing. Santa Barbara's Carr Winery has named their new line of blends after this technique. Winemaker Ryan Carr thinks of their blending process as the winemaking version of crosshatching. The different grape varieties are harvested on the same day and fermented together, adding shape and depth, bringing out aromas and flavors not there before. This is a really great white wine consisting of 70% Viognier and 30% Marsanne, the alcohol is quite restrained at only 14% abv and 154 cases were made. Retail is just $17, a steal for a wine showing this kind of quality. Viognier grapes grown at Quail Valley Vineyard come from "the heart of Santa Ynez," while the Marsanne grapes were picked in the warm east end of the Santa Ynez Valley, in Camp Four Vineyard. The grapes were co-fermented and aged six months in stainless steel tanks. The straw colored wine has a gorgeous nose of tropical fruit and melon rind. There a suggestion of the sea in it, too. The salinity hinted at by the nose is realized on the palate - the savory aspect works with the fruitiness, not against it. Great, razor sharp acidity and a finish of lime zest make for an invigorating mouthfeel. Bring on some crab legs. Oysters. Scallops. Sixty percent Grenache is a good start in my book and 40% Syrah is an even better second chapter. Carr only made 225 cases of this Rhône blend and it sells for $25. The grapes - both varieties - were grown in the Santa Ynez Valley's Quail Ridge Vineyard. The grapes were co-fermented with 15% whole clusters, then aged in French oak for 18 months. Twenty percent of that oak was new. Alcohol hits 14% abv. This Rhône blend shows a medium dark hue in the glass and emits perfumed black cherry alongside earthy notes. There is a bit of funk to it, with an extreme minerality. Dark shadings on the cherry fruit mark the palate, with a rough-hewn oak spice. Nice acidity gives it a refreshing mouthfeel and the finish carries a bit of tartness, for quite a while. Call this one a Bordeaux blend because there is not enough Merlot - 60% - to name it varietally. The remainder is Cabernet Franc, which plays almost as big a role in the aromas and flavors as the Merlot. 250 cases of this $28 wine were produced, with a 14% abv number. Camp Four Vineyard is where both varieties were grown, and whole cluster pressing again accounts for 15% of the grapes. Repeated also is the co-fermentation and 18 month French oak aging. The inky wine lets no light through and smells equally dense. Black fruit, earth and a whiff of smoke play over an undercurrent of cinnamon spice. It is a very pleasantly fragrant wine. Things go just as well on the sip, with massive dark berries and plums backed up by minerality, acidity and great tannic structure. Pair it with a juicy steak, pair it with potatoes roasted just short of burnt or pair it with leg of lamb. You can also just sip it and get along just fine. Baron Cooper is a rescued Manchester Terrier adopted by the Habashi family from their local Humane Society. "He had been a part of a prisoner rehabilitation program that left him with serious behavioral issues," the Habashis explain onn the website, "and as a result, he also had difficulty trusting strangers - especially men. Today we are working our hardest to help Cooper forget his past and enjoy his new life. Slowly, he's regaining the happy-go-lucky and playful attitude he was meant to have." Baron Cooper Wines - the wine label bearing his name and likeness - is intended to “raise awareness to the plight of all shelter animals in need of new and loving families,” according to the label. It goes on, “The Baron Cooper wine brand is dedicated to Cooper and to all pets in shelters across the country.” The company raises more than just awareness, too. They raise money for the cause. Five percent of all the sales of Baron Cooper wines will be donated to the Best Friends Animal Society focused on saving the lives of animals in America’s shelters. The Baron Cooper line offers a Sauvignon Blanc, a Chardonnay, a Cab and a red blend which are labelled with nothing more specific than “California” for point of origin. The line also includes a Sonoma County Pinot Noir and a single-vineyard old-vine Zinfandel from Lodi. This white wine is made from 97% Chardonnay and 3% other white varieties, which are unnamed in the supporting material I could find. An alcohol level of 12.8% abv is quite reasonable. The wine sells for $16. Usually I am not too crazy about Cabernet showing nothing more than California as the AVA. More specific information is required for me to take a bottle from the shelf. This one - sent to me as a sample for review - is not something which I anxiously awaited. The wine carries alcohol at a reasonable 13.6% abv clip and retails for $20. It's a medium-dark wine with aromas of dark berry and black cherry. The oak spice is sweet and light. Flavors of blackberry and plum are met by good tannins that lay low and don't get in the way of the sip. While it’s probably not making any top ten lists, the wine really is pretty decent. It doesn't have Napa Valley worried, but if you were to spend $20 on a Cabernet you could do a lot worse. I'd actually like this chilled at a summer BBQ. 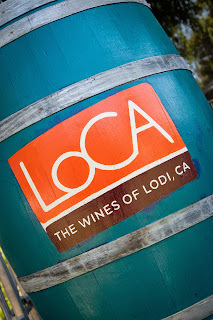 The wine community in Lodi, California has a saying: "What you call crazy, we call passion." Referring to the long history of agriculture than runs through most grower families there, it may have spawned an offbeat label by Michael-David Winery, which features symbolism couched in psychiatric terminology. The label art for the Inkblot line refers to the inkblot designs used in the Rorschach test to determine one's relative mental outlook. It is billed as test #209 by "Dr. Michael-David." Crazy? Or passion? What do you think? The good doctor is credited with the quote, "Don't complain - wine!" Look at the picture. What do you see? A bunch of grapes? "No doctor, I see a person drinking from a wine glass." "Do you think it's bad?" "I don't know what to think anymore doctor, there are so many wines out there." "Am I wrong to love a grape so few people even know about?" The Tannat grape is noted for its high tannin, dark color and rich berry aromas and flavors. It is called the "national grape" of Uruguay, although it originated in southwest France. The grapes for Inkblot Tannat come from a five-acre vineyard in the southeastern part of Lodi. Red, gravelly loam soil provides great drainage for a variety that is actually rather afraid of water. Perhaps some time on the couch can ease this neurotic behavior. The wine is 100% Tannat, aged for 16 months in new French oak. The alcohol level of 15.3% abv isn't exactly crazy, but there were initially only 400 cases around to argue the case against that opinion. During a virtual tasting event on Twitter, @Lodi_Wine tweeted of @MDWinery Tannat, "Go big or go home." And bring a bottle for that crazy uncle who never comes out of his room. @pullthatcork commented, "Inkblot Tannat has substantially lower tannins than ones from #Uruguay I have had." I, too, thought the Lodi effort was much more drinkable than the Tannat wines from Uruguay that I have experienced. @Lodi_Wine may have been trying to give the wine a complex, citing, "The vineyard for @MDWinery Tannat is a mere 5 acres." Size isn't everything, is it doctor? @FrugalWineSnob chimed in with, "Wow. Nearly black. Big but not a bully. Delicious French oak, tight mouthfeel. @WineHarlots called it, "a dense bottle of vanilla. Not typical, but tasty." @WineJulia loved "the smoky, earthy qualities. #yowzayummy," while @FondrenA took it step further, pointing to the wine's "nice gamey component - I could see this pairing well with duck or lamb." Kudos also came from @AmyCGross, who called Inkblot Tannat "BIG and BOLD and a great exclamation point to end an evening." Indigo black, light does not get through this dense wine. Light tries to get through, but the tannins beat it within an inch of its existence. Light retreats in fear and develops a neurosis. The nose of this wine is immense, with explosive black fruit and truly extraordinary notes of mocha, caramel, coffee and alcohol. There's a lot of alcohol. The palate carries quite a bit of heat, too - not a surprise, considering the lofty alcohol number. I'm not a big fan of high alcohol wines, but this one makes a convincing argument for itself. Savory dark fruit is seasoned with spice and mocha while tannins stand guard, no doubt in case some light tries to sneak through. Pair it with the thickest, fattiest red meat you can find - give all that tannic structure something to do. Oak Farm Vineyards is a beautiful property just a short drive from downtown Lodi. As the name suggests, they are known for their many huge oak trees, but the 60-acre estate features grapevines, too. Varietals grown on the property include Sauvignon Blanc, Chardonnay, Verdelho, Malbec, Cabernet Sauvignon, Zinfandel, Primitivo, Petite Sirah, Petite Verdot, Sangiovese and Barbera. The grapes for the Oak Farm Vineyards Sauvignon Blanc 2014 come from Mohr-Fry Ranches - a Certified Green/Lodi RulesVineyard. The wine is made from 100% Lodi vineyard-designate grapes. Alcohol hits only 13.5% abv and it's all vinified in stainless steel tanks. Only 229 cases were made. Oak Farms uses the same clone of Sauvignon Blanc grape that put New Zealand on the map, but they point out that, "Lodi produces a more citrusy style. 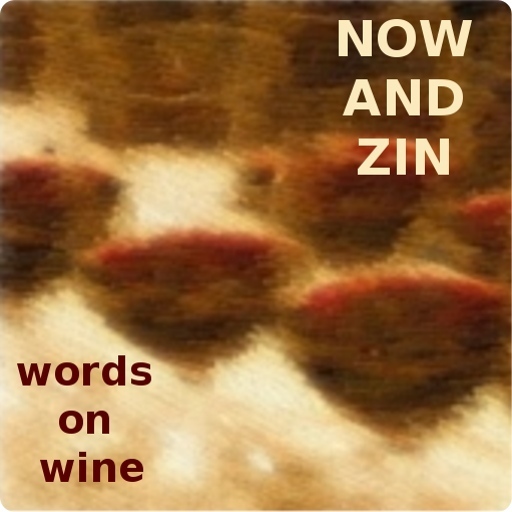 Our wine still has hints of grassiness, without being too herbaceous." The grapes were whole-cluster pressed, which adds a bit to the herbal angle. During a virtual tasting event on Twitter, @Lodi_Wine tweeted that "Chad Joseph is the winemaker at @OakFarmVineyard. He's pretty much a genius in the cellar." I'll go along with that. @NormalWine said this wine is a "nice Sauv Blanc. Very mild and lemony. Super summer sipper! Figgy with zing!" Figs and zing are both good in my book. The nose features citrus, with minerals and a very slight grassy component. On the palate, I find delightful acidity and great fruit, featuring tangerine, lemon and lime zest. The sip finishes clean and brisk. For the cheese pairing that was a part of the virtual event, @Luscious-Lushes noted that "Humbolt Fog is my spirit animal." Couldn't agree more. The name Acquiesce means "To surrender, to become quiet." At the winery, they say, "we acquiesce to the grapes,,, and to nature." Acquiesce Vineyards is Lodi's only winery dedicated completely to white wines. The Acquiesce 2014 Picpoul Blanc is whole-cluster pressed, 100% Picpoul Blanc from the Lodi Mokelumne River AVA. Alcohol hits a very reasonable 12.5% abv. There were only 98 cases made, so don't drag your cursor ordering this one. It is estate grown, produced and bottled and retails for just $24. They only have 100 vines bearing this grape, which are Tablas Creek cuttings from the French Châteauneuf-du-Pape region. The high-acidity grape makes for a very food-friendly wine. I wondered aloud on Twitter about how much Picpoul Blanc is grown in California. @Luscious_Lushes replied, "not a lot. But I know Tablas, Twisted Oak and a couple of others that make single variety Picpoul." @Dracaenawines commented, "we are aware of a small vineyard in #pasorobles." @camron94 replied, "There's not much! Only about 42 tons of #PicpoulBlanc crushed last year in #California." After we got past that, @dvinewinetime said, "OMG the @AcquiesceWine Picpoul Blanc '14 is AMAZING! Like drinking a glass of flowers. Beautiful." On the cheese pairing with the wine. @wineandgoodfood tweeted, "Cypress Grove Midnight Moon is creamy & mild...great pairing with the Picpoul Blanc." @Lodi_Wine said, "@AcquiesceWine is one of the newest members to the #LodiRules program. Let's give her some love!" That was in reference to Susan Tipton, the owner and winemaker at Aquiesce Vineyards. This pale wine has such great minerality that the sensation of rocks in a stream is impossible to ignore. The aromas of wet stones are met toe to toe by orange peel and lemon zest. On the palate things get just as stony. Citrus flavors - the taste version of "wet rocks," - are in the forefront, the mid-palate and the finish. The acidity is dynamic and makes the wine perfect for food pairing. The Acquiesce website says to pair it with Thai dishes, cilantro, tuna, ceviche and salads. All of those recommendations are good. And sipping by the pool is also highly recommended. The wine community in Lodi, California really has a handle on how to get the word out about their grapes and wines. The series of virtual tasting events - based on Twitter, with a separate live video feed - are always well attended and and overflowing with great information about the region and its winegrowers. It’s no surprise that the Lodites - Loditians? - have quickly mastered a social media art form that is rather new to them. They have had the farming thing figured out for generations. When they decided to start making their own wines instead of trucking the fruit of their labor down the road to be made by others, they hit the learning curve on the high side. The tasting session was hosted by Stuart Spencer, owner and winemaker at St. Amant Winery and Program Manager at Lodi Winegrape Commission, who was joined by Cindy Della Monica, owner & cheesemonger at Cheese Central. The wines on the list are are sustainably grown in adherence to the Lodi Rules™ for Sustainable Winegrowing - California’s first third party certified sustainable winegrowing program, which was launched in 2005. The cheeses are eco-friendly, too. As described online, “Lodi Rules™ takes a comprehensive approach to farming that goes beyond just pest management to promote practices that enhance biodiversity, water and air quality, soil health, and employee and community well-being.” The program includes more than 85 farming operations, and 20,000 acres of Lodi vineyards have been certified. 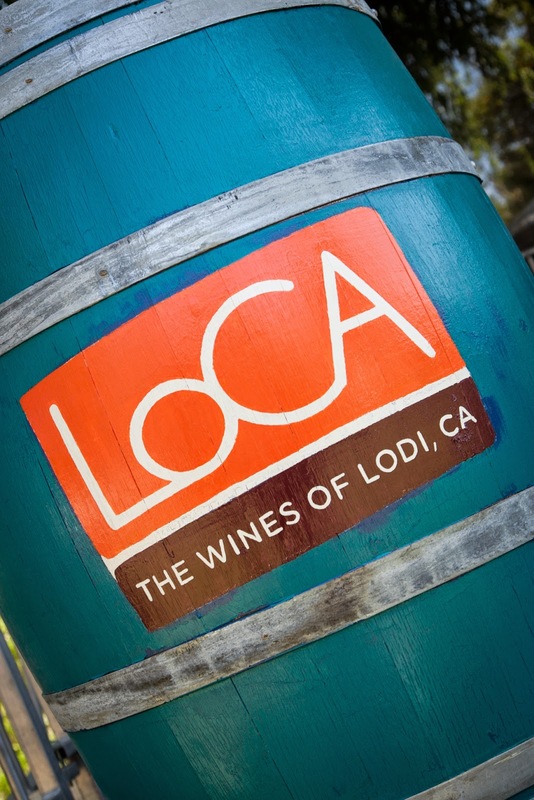 Located at the base of the Sierra Nevada Mountain range, Lodi is about 100 miles east of San Francisco and 35 miles south of Sacramento. It has been a major winegrowing region since the 1850’s, and now home to over 100,000 acres of premium vineyards farmed by more than 750 growers. Watch this space for details on some of the individual wines included in this virtual tasting. Casting About For A Couple Of "Cause Wines"
Steelhead Vineyards, out of Geyserville, CA, is a Sonoma County winery that donates a portion of their sales to fund the restoration of steelhead trout habitats, a cause to which they have devoted themselves since 2002. They are also high on water management practices - a nice thing to have at the forefront of your concerns, considering the drought conditions California faces. Consulting Winemaker Hugh Chappelle works with a variety of fruit from different sources to produces a Sauvignon Blanc that is wonderfully representative of the California style of the wine. The year 2013 is acclaimed on the winery's website as "another great vintage!" 80% of the fruit in this wine came from the Lake County AVA, with a majority organically grown by Ron Bartolucci. The other fruit came from partners in Dry Creek Valley. The winery explains, "What sets 2013 apart is a riper, more tropical-citrus character in the wine, without higher alcohol, and a wonderfully balanced texture with soft, yet crisp acidity. Overall, an incredibly versatile vintage!" After their copywriter's liberal use of exclamation points, I can't wait for a sip. This white underwent a complete, cold, stainless steel fermentation - no malolactic - to preserve varietal character of the Sauvignon Blanc grapes. A small portion spent time on the lees - the spent yeast cells - to give the wine richness and texture. It hits 13.5% abv and retails for about $14. It's a great buy. The nervy white wine bears a nice straw tint and smells of freshly cut hay. Fruity aromas come through the grassy haze with pineapple and honeydew leading the way trailing citrus behind it. The palate is just as lively. Citrus plays a more prominent role in the flavor profile, with intense minerality and a salty spiciness. The finish is clean and refreshing and stays a long time. Fermentation takes place in open top tanks with gentle punch downs as well as closed top tanks. The wine is then aged in a combination of tanks and barrels on light lees - spent yeast cells - for up to 10 months with occasional stirring to bring out the wine's richness. The winery says, "This vintage of our Pinot Noir embodies everything we love about this varietal. 2013 was a great year for reds and a notable richness and concentration was immediately evident. This vintage will drink well on release but will award good cellaring over the next 2+ years." Alcohol hits 14.5% and the wine retails for about $15. This Pinot Noir, I must admit, was a bit disappointing. The medium purple tint looks nice, but the nose plays rough. A highly perfumed funk dotted by violets and coffee grounds is interesting, if a little off-putting. In a Syrah it might be more welcome, but in a wine billed as 100% Pinot Noir, I want something a little more graceful. There is also a lot of heat right after pouring, with big tannins that might be expected from a much heartier grape. things settle down in a short time, but it takes quite a while to get to a level that might be called elegant. Allow plenty of time for this wine to open up - and by that I mean open it the day before - maybe two days. Candied blackberry and plum are a surprise on the palate. There is more alcohol than I want with a Pinot, and a less complex palate too. Black tea notes show up eventually to help out, but it's still too grapey and too brawny. The portion of Sonoma County known as Dry Creek Valley may sound like a parched, sun-baked no-man's land, but it wears that name as a disguise. It's a great place to grow grapes. The 2012 growing season in Dry Creek Valley allowed for slow and even ripening. Nobody ever brags about fast, uneven ripening. You get that a lot in some other parts of California, but Dry Creek Valley gets to do a lot of bragging about their special climate. It's a warm part of the county, to be sure. They do like their slow, even ripening, though. The grapes for this wine came from Quivira Vineyards' three estate vineyards, which all follow organic and biodynamic farming practices. The grapes from Anderson Ranch Vineyard provide red fruit to the mix, the ones from Wine Creek Ranch Vineyard add structure and spice while fruit from Goat Trek vineyard account for concentration and tannin. Fruit was also sourced from other local growers. Winemaker Hugh Chappelle vinified the lots separately, which were aged in French, American and Hungarian oak , 20% of it new, with medium toast to allow the terroir to speak freely. The alcohol hits a hearty 14.5% abv and the wine retails for $22. It is 89% Zinfandel, 10% Petite Sirah and 1% Carignane, and these spicy varieties play very well together. 11,475 cases were produced. Chappelle says, "Dramaless years are rare for winegrowers, so we welcomed 2012 with open arms in Dry Creek Valley." The Quivira Vineyards Dry Creek Valley Zinfandel 2012 appears inky, so much so I can't see light through it. The nose displays beautiful blueberry, pepper, tobacco and a hint of vanilla. The palate is just as comely, with gorgeous fruit represented by juicy blackberry and plum colored by savory streaks of cinnamon, chicory and clove. The wine boasts great structure and acidity. Quivira Zinfandel is made to pair with meat dishes - anything hot off the grill will do - with pasta Bolognese running a close second. If you have some left at dessert, try it with dark chocolate. OMG. Does the name Mark Beaman ring a bell? When I was approached about joining the winemaker bearing that moniker for dinner, I thought there was something familiar about the name. It took a little digging - just a little - to find out why. The publicist insisted that “you may not know winemaker Mark Beaman, but you likely know his wines,” and that turned out to be the case. Beaman is assistant winemaker for Parducci Wine Cellars, but that was not the memory nerve that was struck. Fifty Shades of Gray Wine wasn’t it either. Ah, Wines That Rock! That’s it! The wines that serve as a liquid tribute band for the likes of the Rolling Stones, Grateful Dead and Woodstock - Mark Beaman is the winemaker who rocked those Mendocino County grapes into the bottle. Beaman was raised in a farming family in Washington state and kept the dirt under his fingernails with a stint as a soil conservation expert in the Peace Corps. Oddly, it was during that time in East Africa that Beaman became interested in winemaking. He saw the fermentation process there as the locals made mead, honey wine. He got his feet purple at Washington’s Columbia Crest winery before moving to Mendocino. Beaman loves making Moniker wines in Mendocino County. “It was my desire to work for a small family winery, and I like that the Thornhills are very progressive in their farming practices and committed to crafting the highest-quality wines possible.” He particularly likes the varietal choice that is possible due to Mendocino’s microclimates and - of course - the soil types. Beaman opened his dinner comments at the bar, noting that in Chardonnay, oak is like a painting frame. "If you notice it, it is too gaudy. It should serve as a framework. It should accent, not dominate." He points out that Mendocino Wine Company - the parent company of Moniker Wines - is the oldest winery in Mendocino County, founded in 1932. He feels that Mendocino County's problem has been marketing, not growing or winemaking. He is doing what he can to get the word out about what a great wine growing region is found in the county. How did he end up there, instead of at a more established winery? He wanted the opportunity "to experiment and be part of something being built in the present day." Beaman also was attracted by the"incredible diversity of grapes grown in Mendocino County." His Moniker Chardonnay shows great fruit and bright acidity, which he attributes to the diurnal shift - the differential of warm and cool temperatures achieved in the county during the growing season. Notes of Asian pear and spice are joined by a great touch of oak. The fruit is gorgeous, absolutely beautiful. This Chardonnay is elegant, not oaky or steely. A 4% hit of Viognier adds floral aromas as it warms. Beaman says the presence of the Viognier gives a "second life to the wine." "I'm not about the winemaker tricks and what I can do," he says. "I'm about the growers and capturing what they do and bottling it." For red wines, Moniker employs redwood tanks - huge ones. The redwood tanks are over 100 years old and Beaman says the redwood "does not impart flavor to the wine, even when new. It does smooth the tannins quite a bit, though." The Moniker Pinot Noir has a lovely, graceful, raspberry nose with gentle notes of tea and coffee. The palate is very rich, with red berry, cherry and black tea. Very gentle tannins make for a smooth sipping experience. According to Beaman, the wine gives a "nod to Burgundy, but it's definitely a California Pinot because it has to through a lot of yoga poses before it's just right. It needs aeration to get it past its assertive phase." Of the Moniker Cabernet Sauvignon, Beaman says it's a "cerebral, fireside wine," although it is great with food, too. Notes of gunpowder and mint are immediately obvious, while the "olive tapenade will come out," he says. Beaman says he really likes that he didn't mention blackberry or currant in the flavor profile. He is obviously proud to present a Cabernet that elbows its way past the usual descriptors and delivers something a little deeper. The Moniker Wines are something on which Beaman can be very proud to place his own moniker.